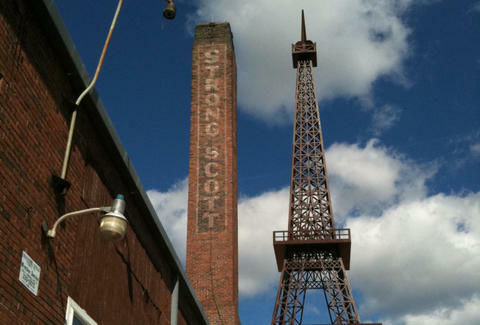 The Eiffel Tower: Available in whatever color you'd like, your very own little Franco treasure will stand at 5'2", so expect Napoleon to get all jealous and insecure. Slice Tilt Coffee Table: Like a fashion designer who sent a plus-size gal to walk the runaway, you're probably now saying "Wait, this is way too big to be a model", and you're right! 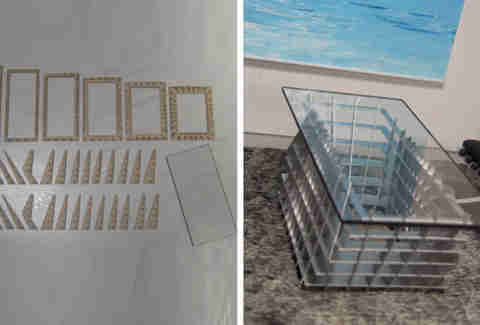 It's actually a fully functional table whose 36 individual pieces of silver-painted pressed paper fibers you can put together yourself. 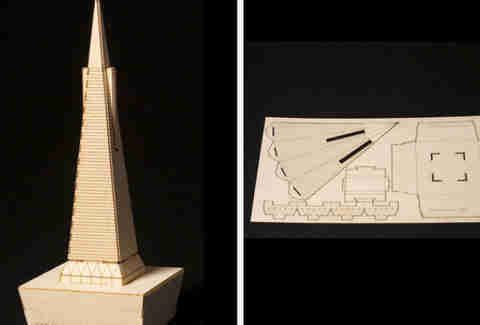 Famous Buildings: He's just launching a collection of smaller, desk-able (scaled at 1in = 200ft) birch veneer mini-models of "famous buildings around the world", starting with the Transamerica Pyramid, a structural style named by an ancient culture who definitely employed the "having things built for them" approach.